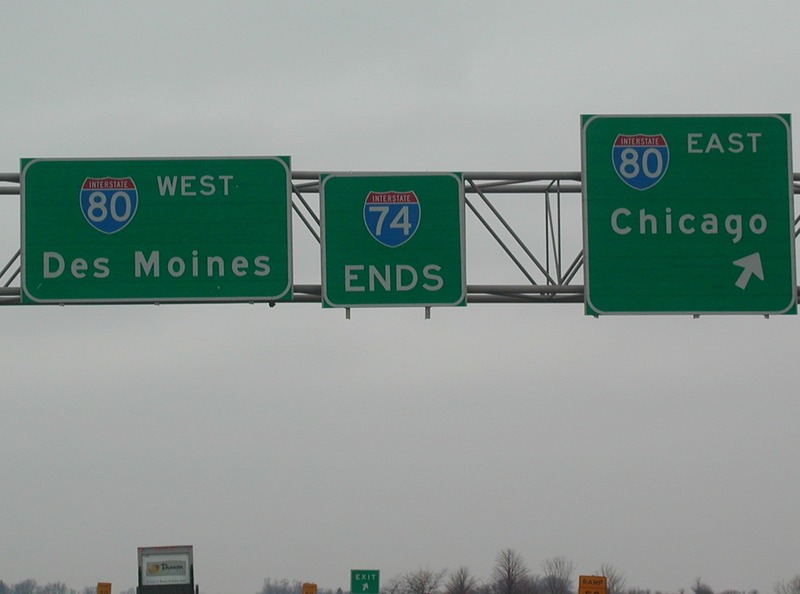 Just about every single stand-alone interstate shield in Iowa has the state name inside and has the same basic look as this I-74 shield. I-74 only spends about 5 miles in the state of Iowa. 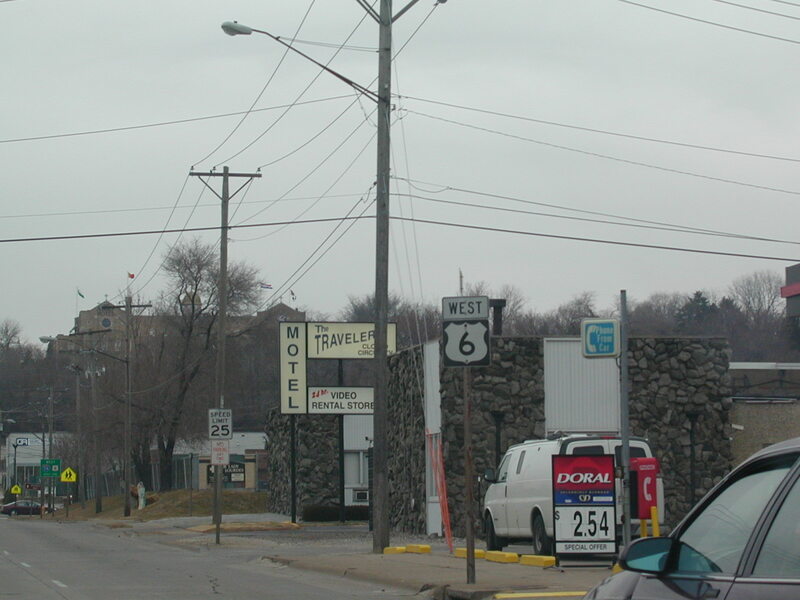 West US 6 shield in Davenport. 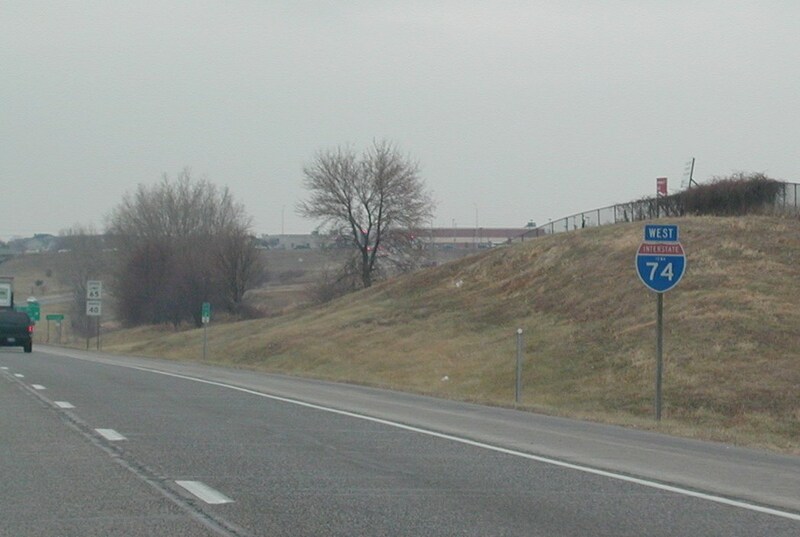 West I-74 shield. I-74 goes through the Quad Cities, but is very rural-looking throughout Iowa. 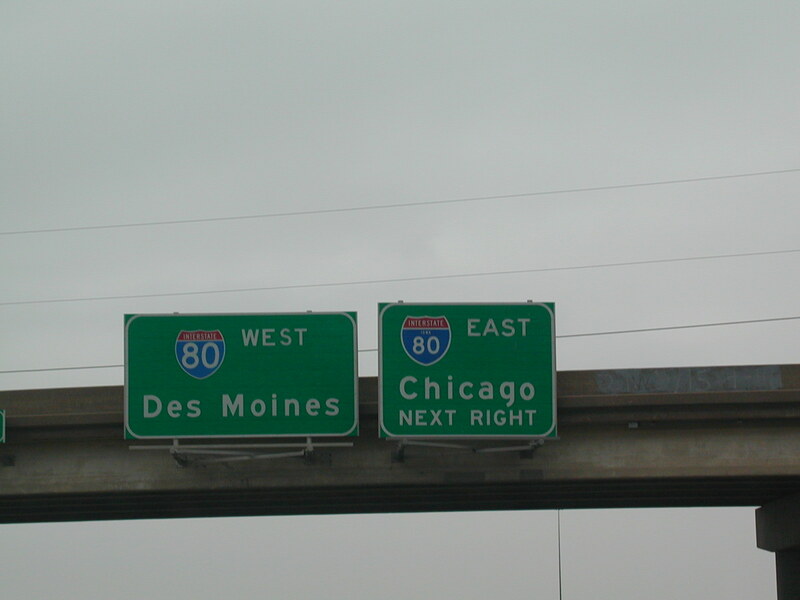 I-80 BGS for Chicago or Des Moines. 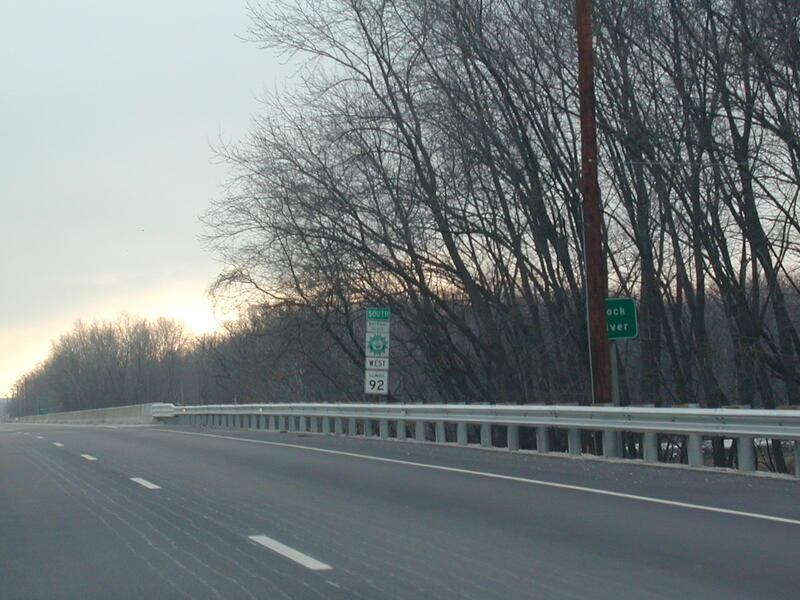 I-74 ends in one mile. There are two different styles of shield in this overhead assembly. 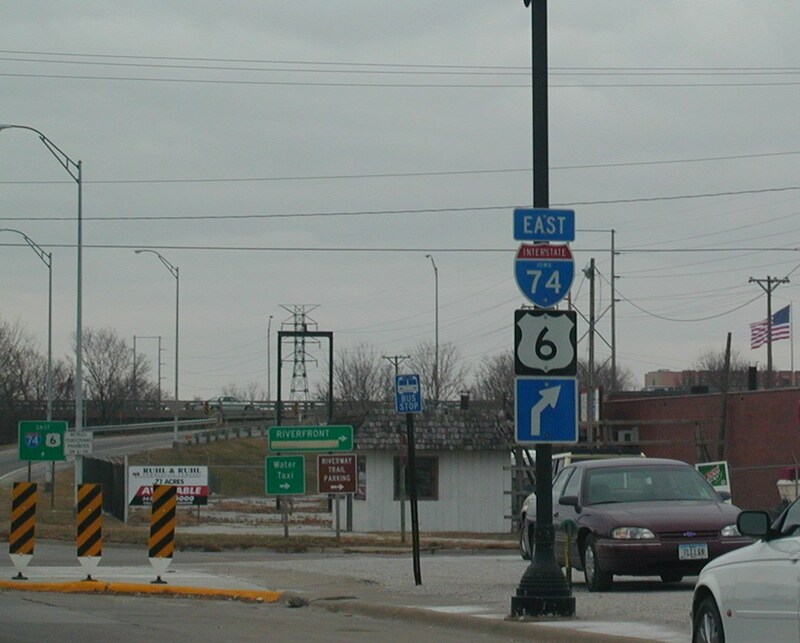 This is the western terminus of I-74. 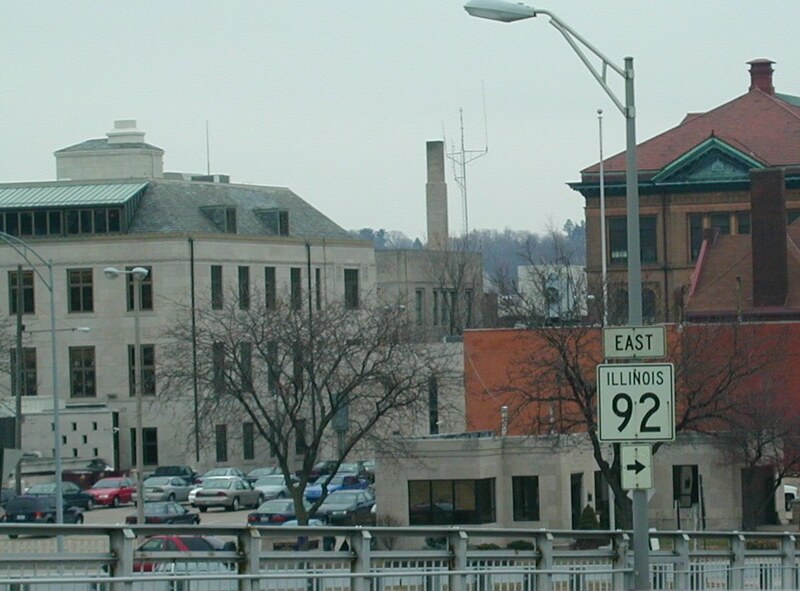 An old style IL 92 shield back in Rock Island. 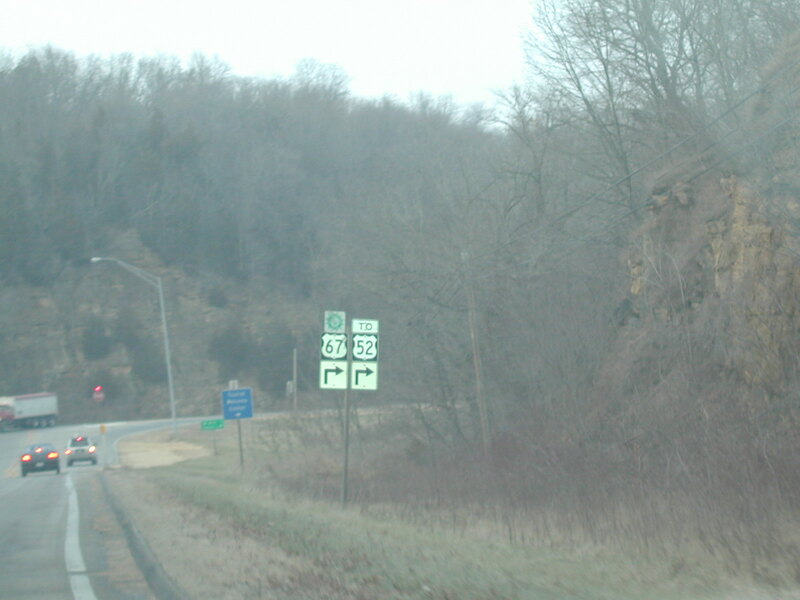 IL 92 is an expressway on the western side of Rock Island, starting at US 67. 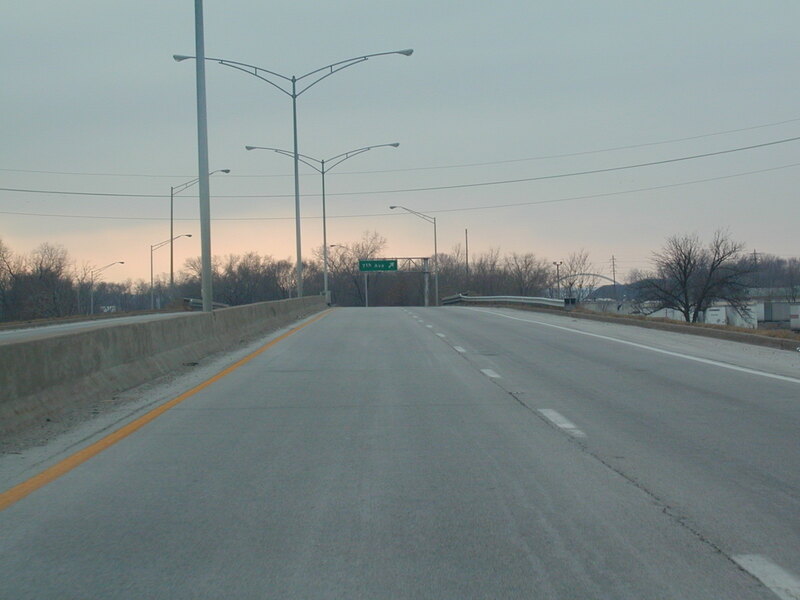 It is called the Rock Island Parkway, but used to be called the Centennial Expy. 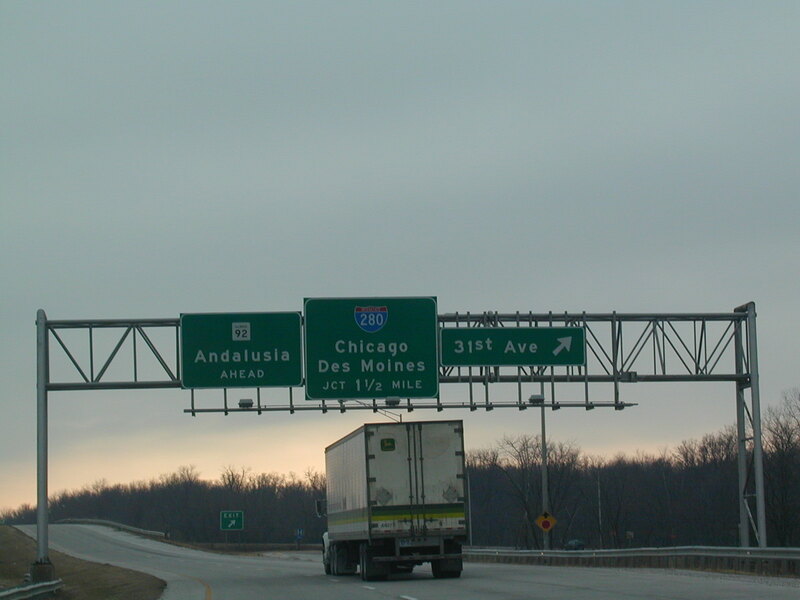 The expressway ends at I-280, but IL 92 continues on to Andalusia, an eventually to Muscatine, IA after following the Mississippi for a while. Crossing the Rock River on IL 92 West and the Great River Road South. 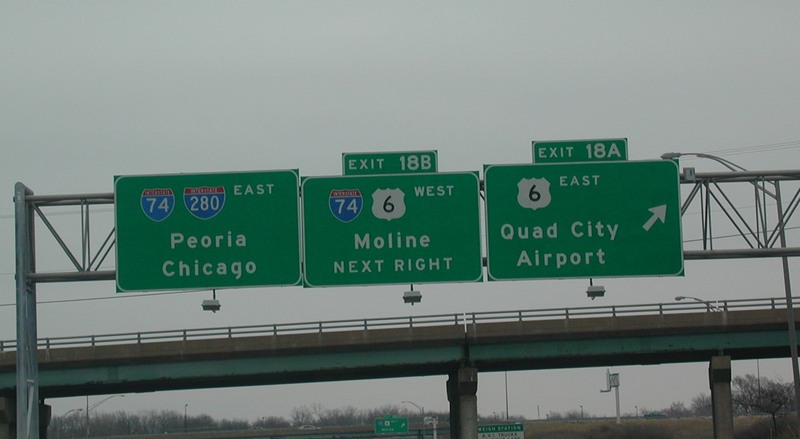 I-280 makes a belt around the Quad Cities, starting at I-80 west of Davenport, IA, and ending at I-74/80 east of Moline, IL. 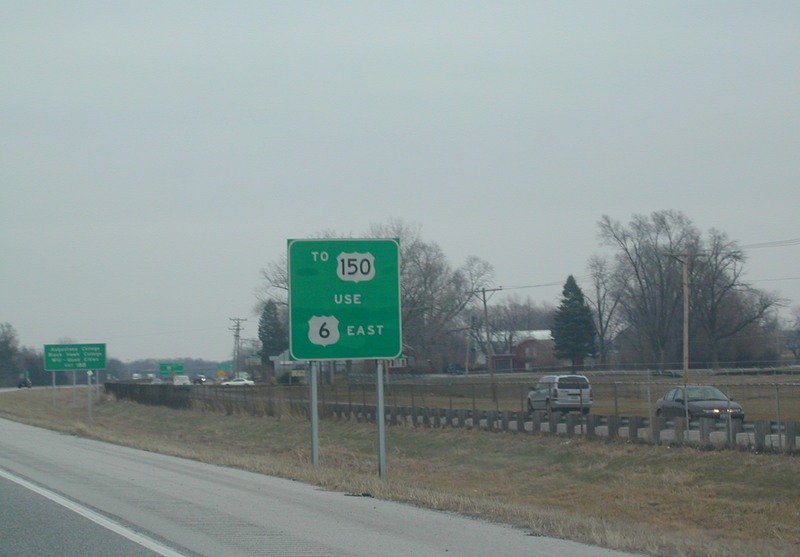 US 150 almost makes it to I-280, but not quite, as it ends at US 6. I-74 joins I-280 here. 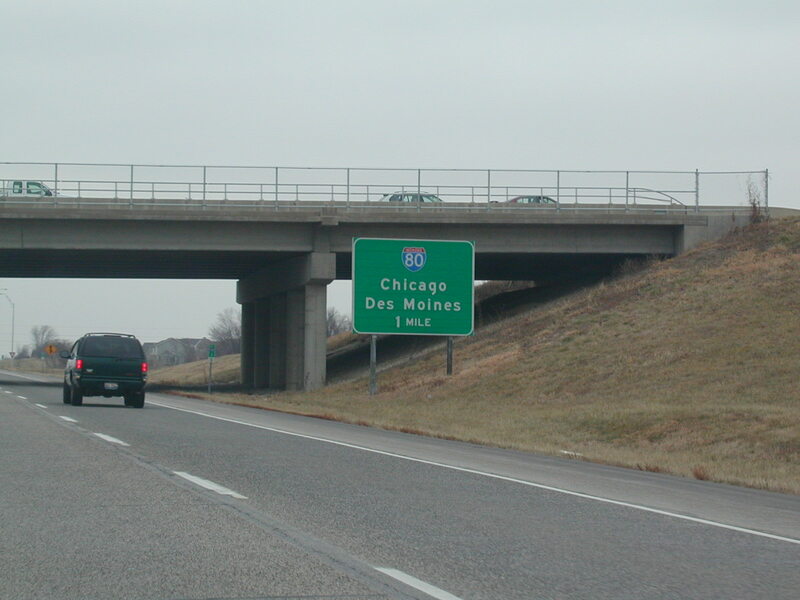 I-74 West at the IL 5 exit. 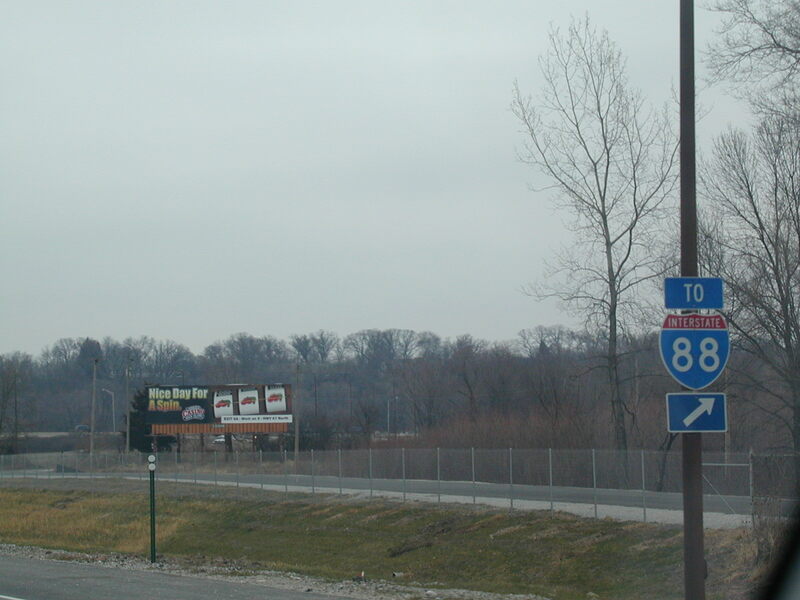 This sign lets motorists on I-74 West know that IL 5 goes to I-88. Skip waaaaay ahead, and we're on US 67 NB about to hit US 52. The stretch of US 67 from Bettendorf to Sabula is sorta pretty, but we did see some bald eagles in the trees next to the road that also overlook the Mississippi! 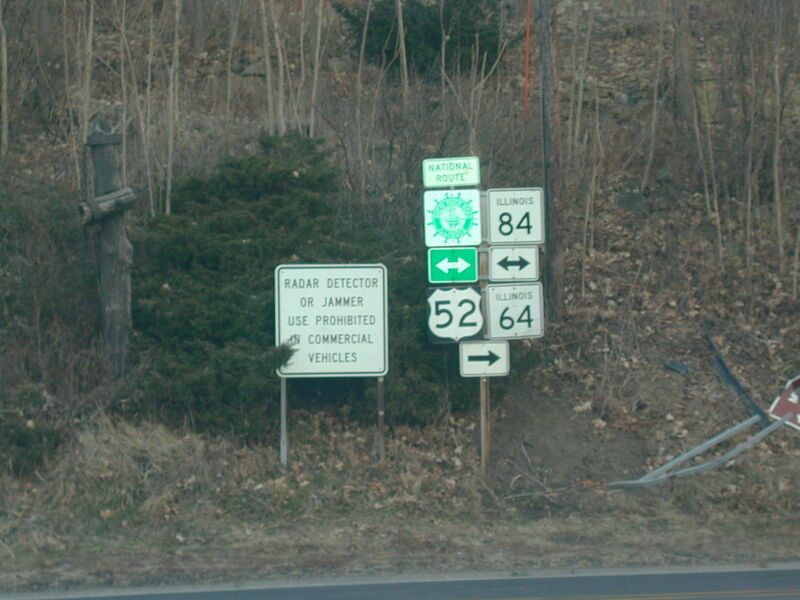 The northern end of US 67. 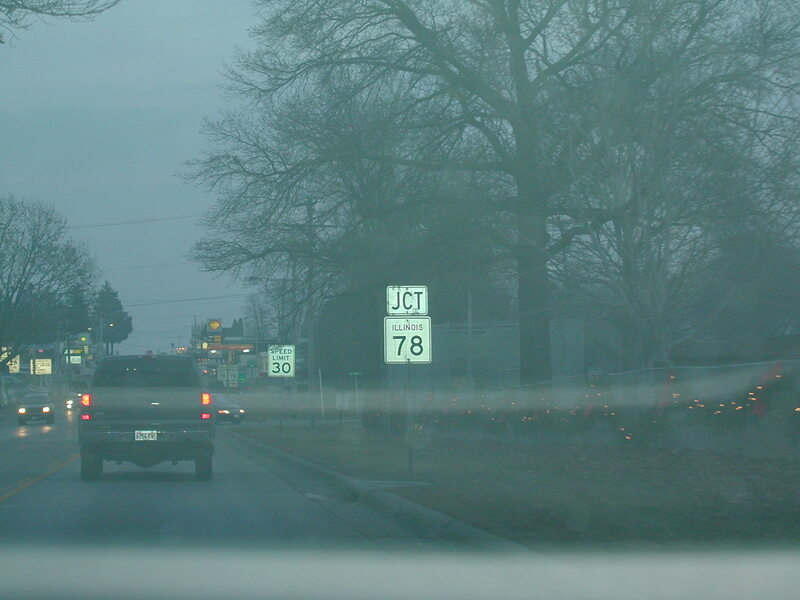 The southern end of US 67 is in Presidio, TX, near Big Ben National Park, where it crosses into Mexico. 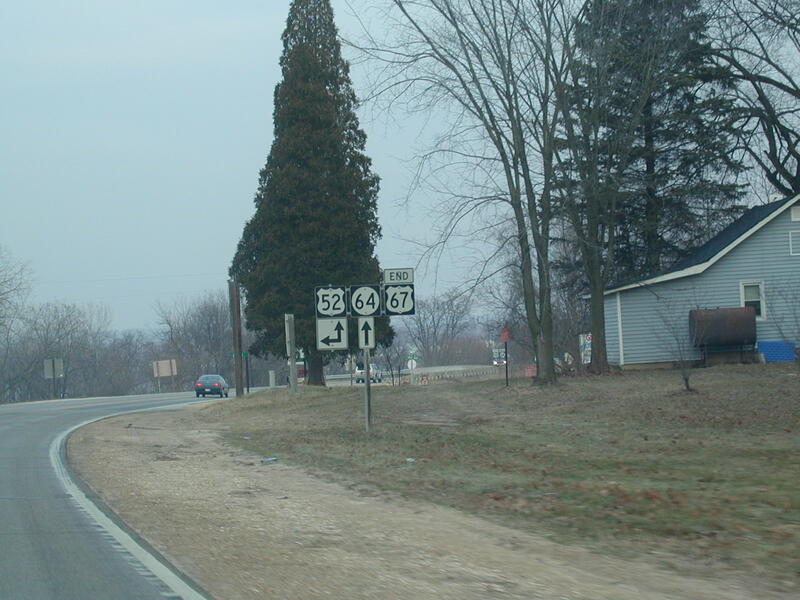 East on US 52 and IA 64 near Sabula, IA. 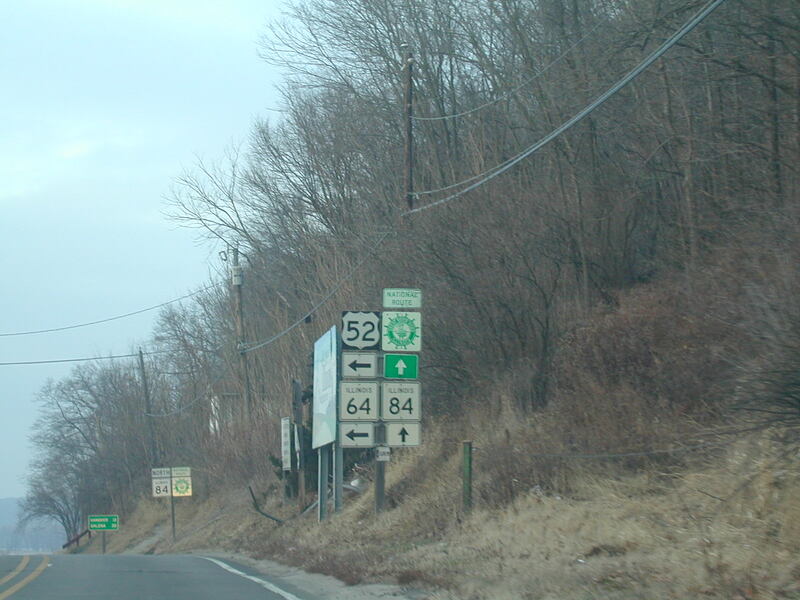 IA 64 continues in Illinois as IL 64. The Mississippi is just to the right of the road. The blue bridge between Iowa and Illinois over the Mississippi. 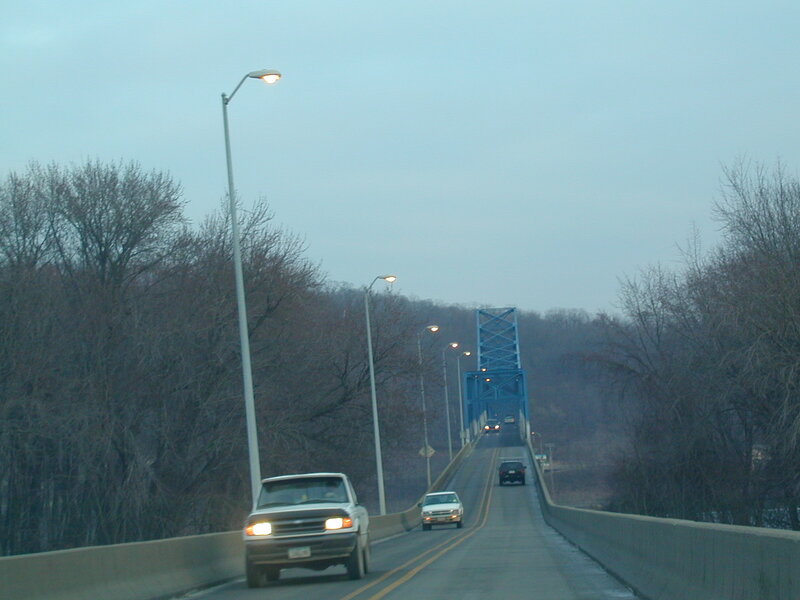 The bridge is quite narrow and does not have center line markings. The western end of IL 64, known as North Ave. in the Chicago area, and the other side of the bridge. Looking north now. Interesting how IL 64 is signed even on the bridge that takes it to Iowa. 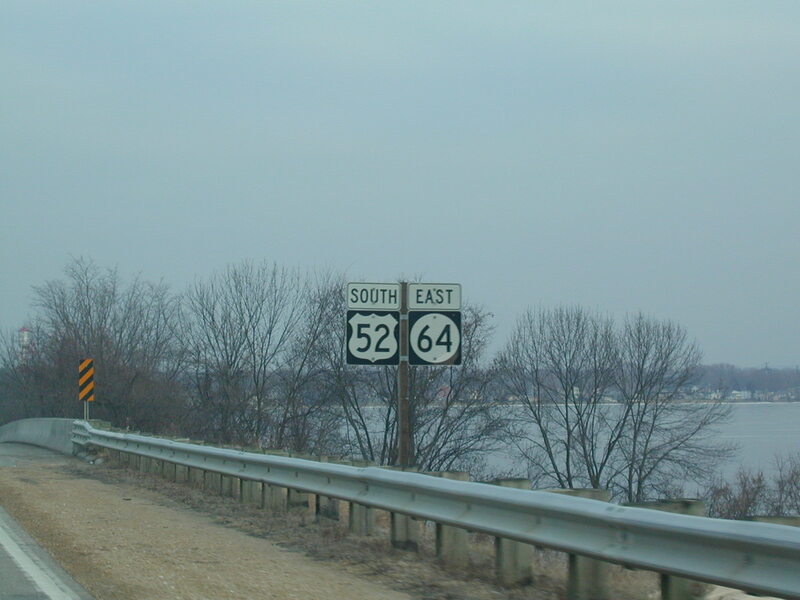 US 52 and IL 64 turn left and go over the bridge to Iowa. IL 84 goes north to Galena. 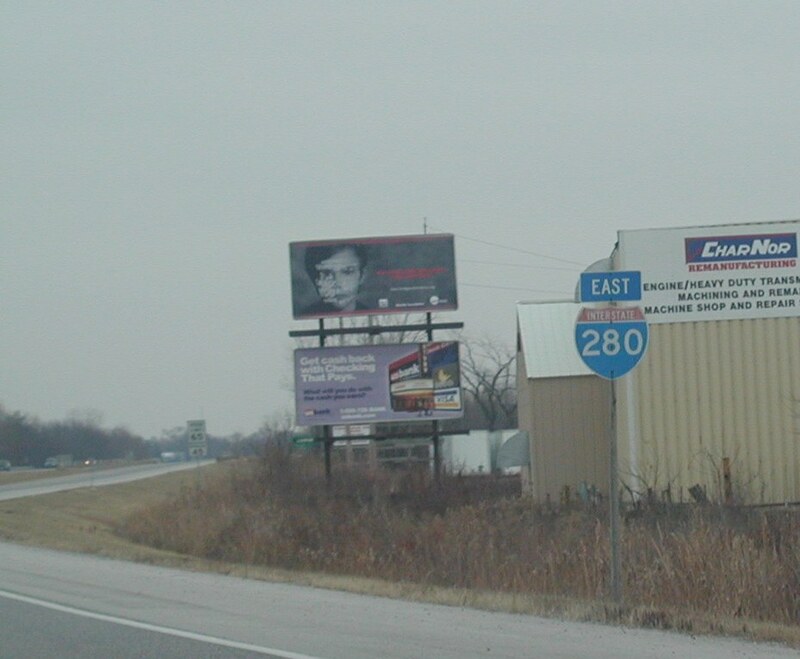 Now on US 20 East at IL 78 in Stockton. 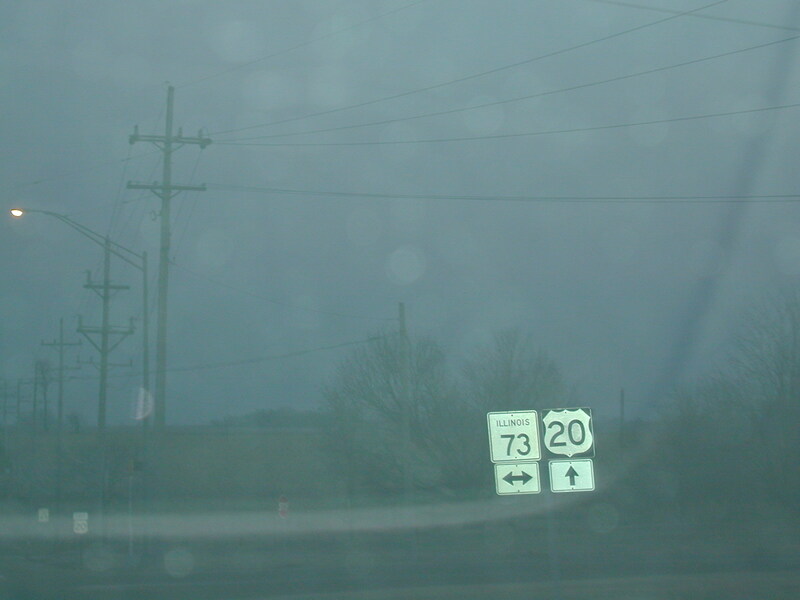 A bad picture of IL 73 crossing US 20. East IL 75 begins at Bus. 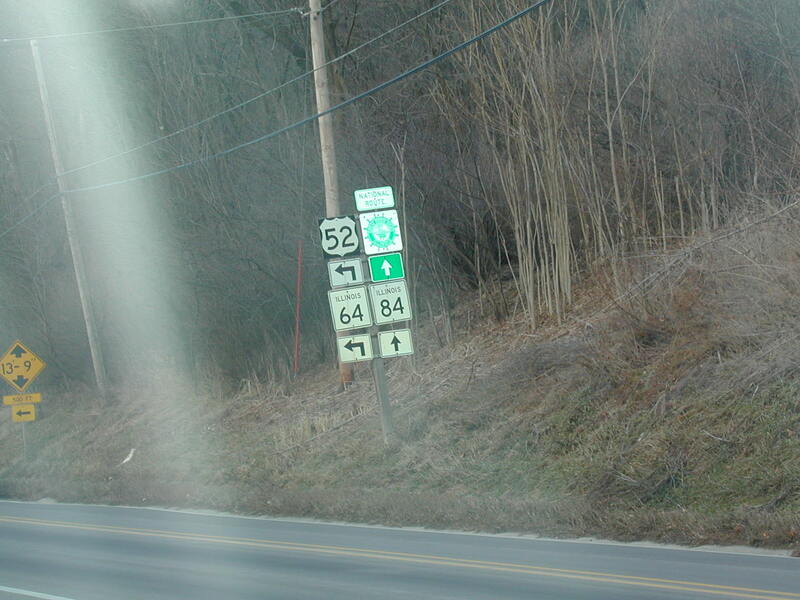 US 20 in Freeport. Thus ends the Iowa Roadtrip.